This article is about the Imperial Stormtrooper Sergeant. For the First Order video game character, see Stormtrooper Sergeant (First Order). 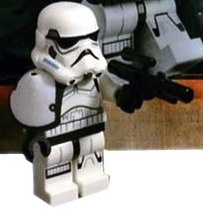 A Stormtrooper Sergeant is a Star Wars minifigure released in 2015. This page was last edited on 15 August 2016, at 05:45.